Fitted with a Perkins 404C-22G2 engine, with an internal exhaust and 1 x 12 volt lead acid battery. Leroy Somer LL 1014 N, 22kVA standby / 17.6kW, 415/240 volt, 50hz, 31amp. The set is fitted with a Perkins 4006-23TAG2A engine with an internal exhaust and 24 volt lead acid battery. Leroy-Somer - 730kVA / 584kW diesel generator, 415/230 volt, 50hz, 1016 amp. Leroy Somer LL 1014 N, 22kVA standby / 17.6kW, 415/240 volt, 50hz, 30amp. The set is fitted with a Perkins 4012 engine that has had only 1,500 hours (to be confirmed) of use, 2 x 12 volt lead-acid battery, water jacket heater, bellows, battery isolator, Racor filter and a three way fuel valve. 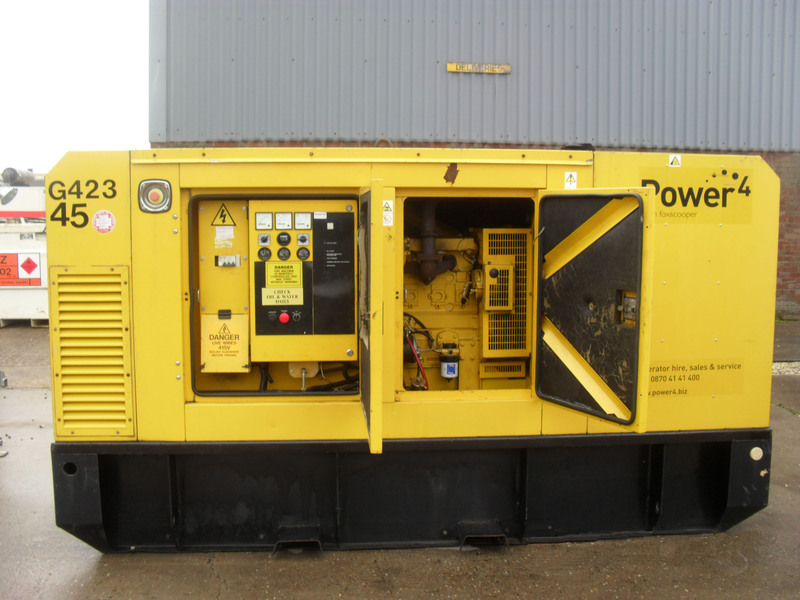 This FG Wilson 1250kVA / 1000 kW diesel generator has a 380-440 volt, 50hz 1737 amp Stamford alternator. Fitted with a Perkins 1006 TAG engine, with an internal exhaust and 1 x 12 volt lead acid battery. Leroy Somer LL 3014F 135kVA Prime / 108kW, 415-240 volt, 50hz, 195 amp. Fitted with a Perkins 1103A-33TG 2 engine, with an internal exhaust and 1 x 12 volt lead acid battery. Leroy Somer LL 2014 H, 65kVA standby / 52kW, 415/240 volt, 50hz, 94 amp. Fitted with a Perkins 1103A-33TG2 engine, with an internal exhaust and 1 x 12 volt lead acid battery. Leroy Somer LL 2014 H 65kVA Standby, 52kW, 415/240 volt, 50hz, 90amps. Fitted with a Perkins 1004G engine, with an internal exhaust and 1 x 12 volt lead acid battery. Leroy Somer LL2014B 44kVA / 35kW, 415/240 volt, 50hz, 61amps. Fitted with a Perkins 1306-E87TA 300 engine, internal exhaust and 24 volt lead acid battery. Leroy Somer LL5014 F - 200kVA Prime, 160kW, 415/240 volt, 50hz, 288 amps. Fitted with a Perkins 1103A-33G1 engine, with an internal exhaust and 1 x 12 volt lead acid battery. Leroy Somer LL151HD 27kVA Prime / 21kW, 415-240 volt, 50hz, 38 amp. This Cummins gas generator is fitted with a Cummins QSV81G engine. Low recorded hours. Fitted with a Perkins 1004 TG2 engine, with an internal exhaust and 1 x 12 volt lead acid battery. The set is fitted with a Perkins 1103A-33TG1 engine with an internal exhaust and 1 x 12 volt lead acid battery. The set is fitted with a Lombardini LDW1204/ B2 engine with an internal exhaust and 1 x 12 volt lead acid battery. The set is fitted with a Perkins 1103A-33TA2 engine with an internal exhaust and 1 x 12 volt lead acid battery. The set is fitted with a Perkins 100HG engine with an internal exhaust and 1 x 12 volt lead acid battery. The set is fitted with a Perkins 1306-E81 TA300 engine with an internal exhaust and 2 x 12 volt lead acid battery. The set is fitted with a Perkins 1103A-33TG2 engine with an internal exhaust and 1 x 12 volt lead acid battery. The set is fitted with a Perkins 404D-22G engine with an internal exhaust and 1 x 12 volt lead acid battery. This set is fitted with a Deutz TBD 620 V16 diesel engines one with 3,100 hours and the other with 2,800 hours. The set is fitted with a Perkins 1006-TAG2 engine with an internal exhaust and 1 x 12 volt lead acid battery. The set is fitted with a Dorman V12 12QA engine with a loose exhaust, 2 x 12 volt lead acid battery and 2 x water jacket heaters. The set is fitted with a Dorman 6LET EA engine, exhaust as extra and 24 volt lead acid battery. The set is fitted with a Dorman 6QT engine with an extra exhaust. The set is fitted with a Cummins Kta 50g3 diesel engine which has an internal exhaust, a battery Isolator, Water jacket heater and a 3 way fuel valve. The set is fitted with a Caterpillar 3508 engine that has had 18500 hours of use, 2 x 12 volt lead-acid battery, water jacket heater, bellows, battery isolator, Racor filter and a three way fuel valve. The set is fitted with a Caterpillar G3412 engine with hours available on request, 2 x 12 volt lead-acid battery, bellows, Battery isolator, water jacket heater and a loose exhaust. The set is fitted with a Dorman 6 SETCR3 engine that has had less than 1,500 hours of use, 2 x 12 volt lead-acid batteries, water jacket heater and bellows. The fuel tank is 567ltr. The set is fitted with a Perkins 2806A-E18TAG2 engine, two 12 volt lead-acid batteries and battery isolator. The set is fitted with a Perkins 3.152 engine with an internal exhaust and 1 x 12 volt lead acid battery. The set is fitted with a Cummins VT19 engine with an internal exhaust and 2 x 12 volt lead acid battery. The set is fitted with a Perkins 404D-226 engine with an internal exhaust and 1 x 12 volt lead acid battery. The set is fitted with a Caterpillar 3304 PC engine (Exhaust as extra option) and 2 x 12 volt lead acid battery. The set is fitted with a Perkins 1004TG2 engine with an internal exhaust and 1 x 12 volt lead acid battery. The set is fitted with a Perkins 3008TAG3A engine that has had 6191 hours of use, 2 x 12 volt lead-acid battery, water jacket heater and bellows. The set is fitted with a Perkins Phaser 1006 TAG engine with an internal exhaust and 1 x 12 volt lead acid battery. The set is fitted with a Cummins KTA38 V12 diesel engine and is in an ISO container that's sound attenuated. This FG Wilson 70kVA Prime 56kW diesel generator has a 415-240 volt, 50hz, 97 amp Leroy Somer alternator. This FG Wilson 165kVA Generator / 132kW diesel generator has a 415/240 volt, 50hz, 229 amp Leroy-Somer alternator. This FG Wilson 350kVA Generator / 280kW diesel generator has a 400-230 volt, 50hz, 504 amp Leroy-Somer alternator. This FG Wilson 800kVA / 640kW diesel generator has a 400-230 volt, 50hz, 1154 amp Leroy-Somer alternator. Cummins 1250kVA / 1000kW generator with Stamford, 415-240V, 1740 amp, 50Hz alternator. This Dawson Keith 230kVA / 184kW diesel generator has a 415/240 volt, 50hz, 320 amp Markon alternator. This ArcGen 16.5kVA / 13.2kW diesel generator has a 110/240/415 volt, 50hz, 23 amp ArcGen alternator. This FG Wilson 165kVA / 132kW diesel generator has a 400/230 volt, 50hz, 216 amp Leroy Somer alternator. This Dorman 150kVA Generator / 120kW diesel generator has a 415-240 volt, 50hz, 208 amp Macfarlane alternator. This FG Wilson 100kVA / 80kW diesel generator has a 400-230 volt, 50hz, 144 amp Leroy-Somer alternator. This FG Wilson 44kVA / 35kW diesel generator has a 415-240 volt, 50hz, 61 amp Leroy Somer alternator. This FG Wilson 45kVA / 36kW diesel generator has a 400-230 volt, 50hz, 64 amp Leroy-Somer alternator. This FG Wilson 27-30kVA / 21.6-24kW diesel generator has a 415-240 volt, 50hz, 50 amp Leroy Somer alternator. This FG Wilson 20kVA / 16kW diesel generator has a 415-230 volt, 50hz, 27.8 amp Leroy Somer alternator. This FG Wilson 27-30kVA / 21.6-24kW diesel generator has a 415-240 volt, 50hz, 41.7 amp Leroy Somer alternator. This set is sold in a container- This FG Wilson 2000kVA / 1600 kW diesel generators has a 400-230 volt, 50hz 2780 amp Leroy Somer alternator. 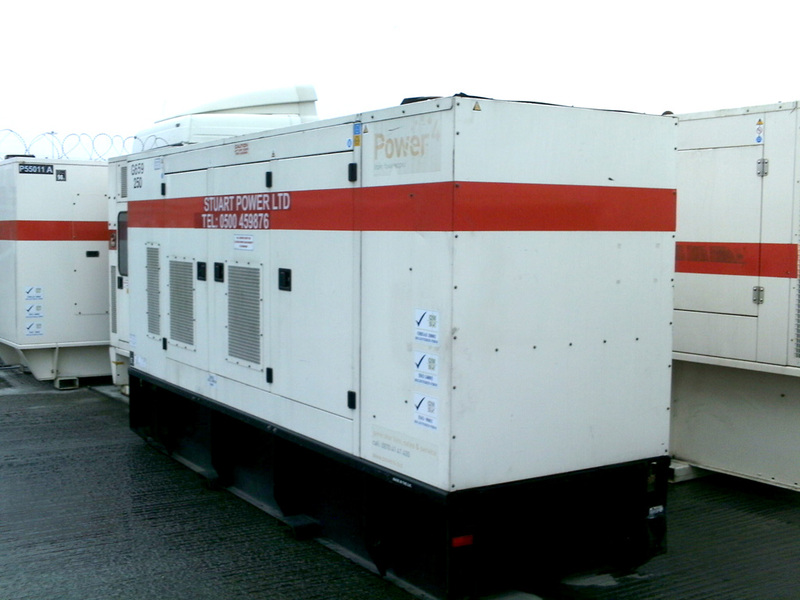 This FG Wilson 2000kVA / 1600 kW diesel generators has a 400-230 volt, 50hz 2780 amp Stamford alternator. This FG Wilson 2000kVA / 1600 kW diesel generator has a 400-230 volt, 50hz, 2886 amp Leroy Somer alternator. This FG Wilson 400kVA / 320kW diesel generator has a 415-240 volt, 50hz, 556 amp Leroy Somer alternator. This Caterpillar 365kVA Generator / 292kW diesel generator has a 400-230 volt, 50hz, 526 amp Caterpillar alternator. 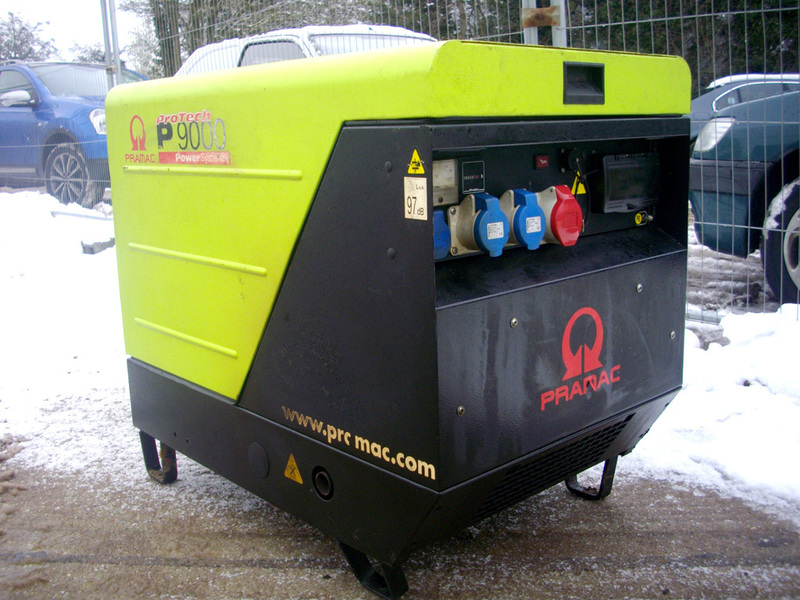 Pramac 61.3kVA / 49kW generator sound attenuated enclosure. Supplied with wind farm voltage compatible Mecc Alte 690 Volt, 53.2amp, 50Hz alternator and Deutz BF4M2011C engine. This 670kVA / 536kW generator has a 400-415 volt, 50Hz 930 amp Stamford alternator. The set is fitted with a Perkins 3012TAG3A engine that has had only 8,500 hours of use(to be confirmed), 2 x 12 volt lead-acid batterybellows, battery isolator and a loose exhaust. This FG Wilson 220kVA / 176 kW diesel generator has a 415-240 volt, 50hz, 305 amp Leroy Somer alternator. The set is fitted with a Perkins 1306F87TA300 engine with an internal exhaust and 2 x 12 volt lead acid batteries. 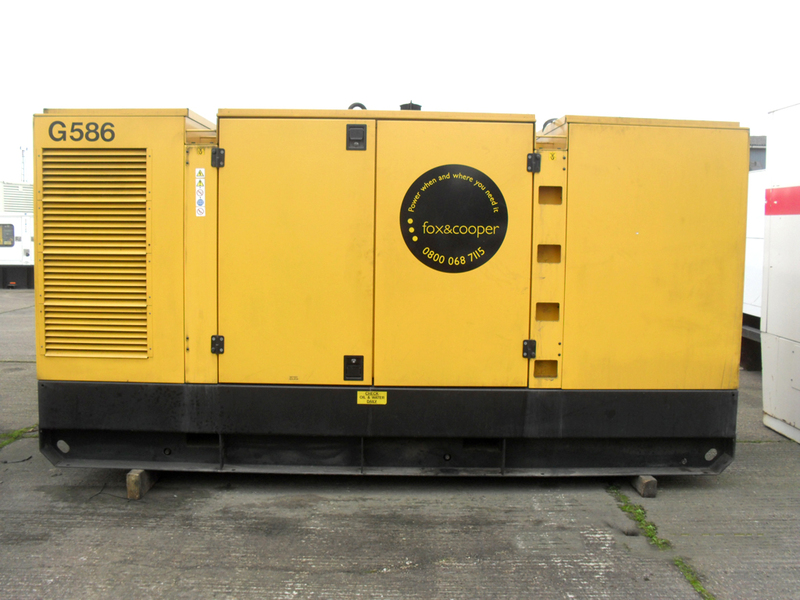 Caterpillar 700kVA / 560kW diesel driven generator, 415 volts, 973 amp, 50Hz. Caterpillar 3412 TA engine and alternator. Complete with an internal exhaust system, two 12 volt lead-acid batteries, bellows, water jacket heater and battery charger. The control panel is LED, manufactured by Caterpillar. This FG Wilson 22kVA / 17.6 kW diesel generator has a 415-230 volt, 50hz, 30 amp Leroy Somer alternator. This FG Wilson 22kVA / 17.6 kW diesel generator has a 415-230 volt, 50hz, 30 amp Leroy Somer alternator. The set is fitted with a Perkins 404D-22G engine with an internal exhaust and 1 x 12 volt lead acid battery. SOLD P4001 - 400kVA FG Wilson Generator With Close Fit Enclosure. P4001 - 400kVA FG Wilson Generator With Close Fit Enclosure. This FG Wilson 50kVA / 40kW diesel generator has a 415-240 volt, 50hz, 70 amp Leroy Somer alternator. The set is fitted with a Perkins 1103C-33TG2 engine with an internal exhaust and 1 x 12 volt lead acid battery. This FG Wilson 275kVA / 220kW diesel generator has a 415-240 volt, 50hz, 382 amp Leroy Somer alternator. The set is fitted with a Perkins 1306E87TA30 engine with an internal exhaust and 2 x 12 volt lead acid batteries. These Caterpillar 4500kVA / 3600 kW gas generators have a 5500 volt, 50hz 472 amp Stamford KATO with PMG and heater. The sets are fitted with Caterpillar 3616G engines that have had 42,000 hours of use with a speed of 1,000 RPM. 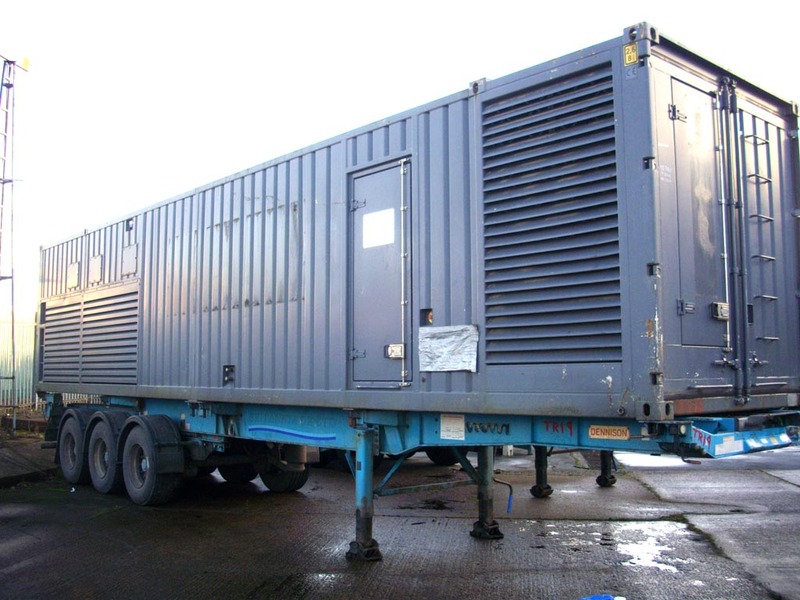 500kVA, 400kW FG Wilson generator sold in a very good condition. The engine is a Perkins 2506A E15TAG1, this engine has covered less than 100 hours. 500kVA, 400kW FG Wilson generator sold in a good condition having had a 2 hour works test at 400kW. 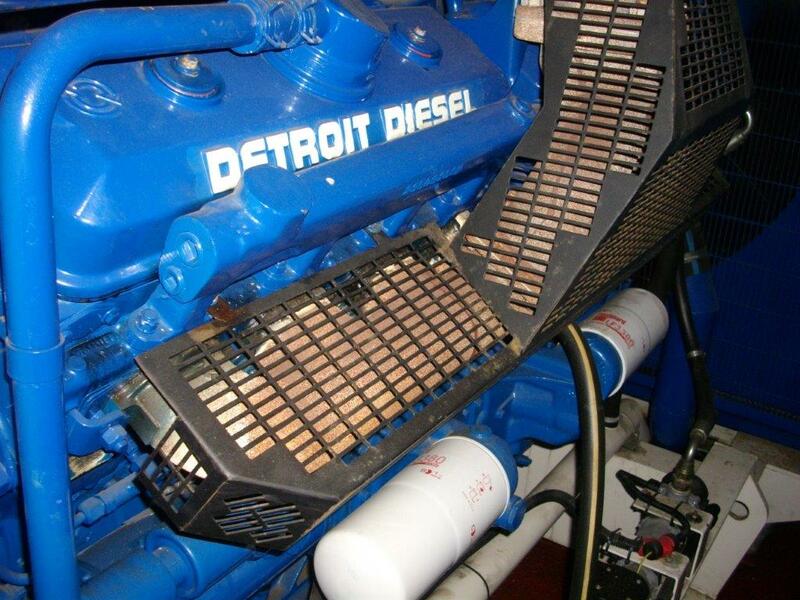 The engine is a Perkins 2806C, this engine which was manufactured in 2004 has covered 9,330 hours. This FG Wilson 110kVA / 88kW diesel generator has a 415-240 volt, 50hz, 153 amp Leroy Somer alternator. These 160kVA / 128kW FG Wilson diesel generators have a 230/415 volt, 50hz, 222 amp Leroy Somer alternator. The set is fitted with a Perkins 1306 diesel engine, 1 x 12 volt lead-acid battery, bellows and a silent exhaust. Lister 34.4kVA / 27.5 kW Single exhaust type engine.Ex water company standby. Manufactured in the 1970's and bought as an open-skid, it measures Length - 1900mm, Width - 630mm, Height -1250mm. These 165kVA / 132kW FG Wilson P165E1 diesel generators have a 230/415 volt, 50hz, 229 amp Leroy Somer alternator. The sets are fitted with a Perkins 1006T diesel engine, 1 x 12 volt lead-acid battery, bellows and a silent exhaust. This FG Wilson 65kVA / 52kW diesel generator has a 415-240 volt, 50hz, 90 amp Leroy Somer alternator. The set is fitted with a Perkins 1004-Phaser engine with an internal exhaust and 1 x 12 volt lead acid battery. The Generator has the following estimated dimensions 2,300mm long, 1,120mm wide and 1,525mm tall excluding exhaust and weighs approximately around 1,250Kg. The control panel is made by FG Wilson. The set is fitted with a Perkins 1006TG2 engine with an internal exhaust and 1 x 12 volt lead acid battery. The Generator has the following estimated dimensions 2,830mm long, 1,135mm wide and 1,550mm tall excluding exhaust and weighs approximately around 2,300Kg. This FG Wilson 33kVA / 26kW diesel generator has a 415-240 volt, 50hz, 46 amp Leroy Somer alternator. The set is fitted with a Perkins 1103A-33G1 engine with an internal exhaust and 1 x 12 volt lead acid battery. The Generator has the following estimated dimensions 2,120mm long, 970mm wide and 1,525mm tall excluding exhaust and weighs approximately around 991Kg. 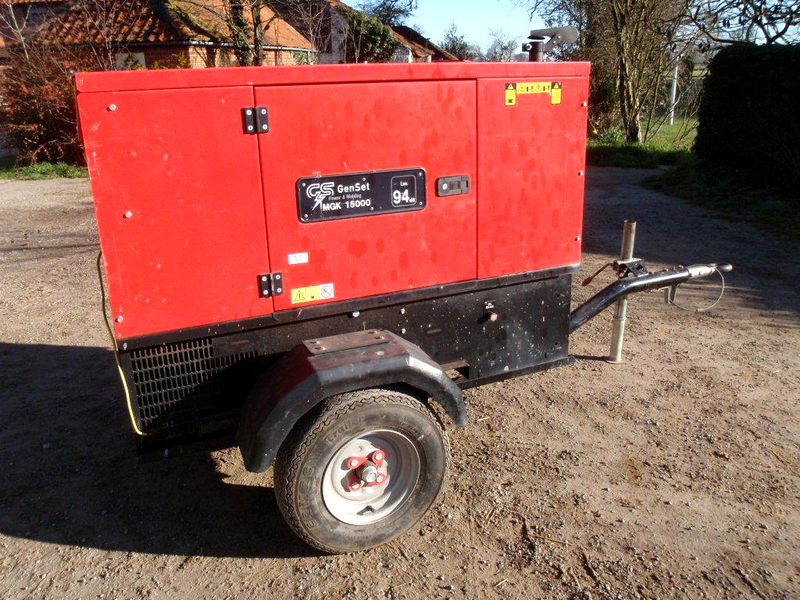 FG Wilson 150kVA / 120kW generator with a 1006T diesel engine. Leroy Somer 230/415V, 208 amp, 50 Hz alternator. Complete with sound proof canopy, silent exhaust system, 12 volt lead-acid battery and a FG Wilson control panel. This Cummins 80kVA / 64 kW diesel generator has a 415-240 volt, 50hz, 115amp Newage UC224F alternator. The set is fitted with a Cummins 4BTA3.4-61 engine that has had only 5,432 hours of use, 1 x 12 volt lead-acid battery, water jacket heater and an in canopy end exhaust. This 104kVA / 83 kW diesel generator has a 415volt, 50hz, 150 amp Mecc Alte alternator. The set starts up perfectly and is fitted with a Perkins 1006T engine with a residential exhaust and a 1 x 12 volt lead acid battery. 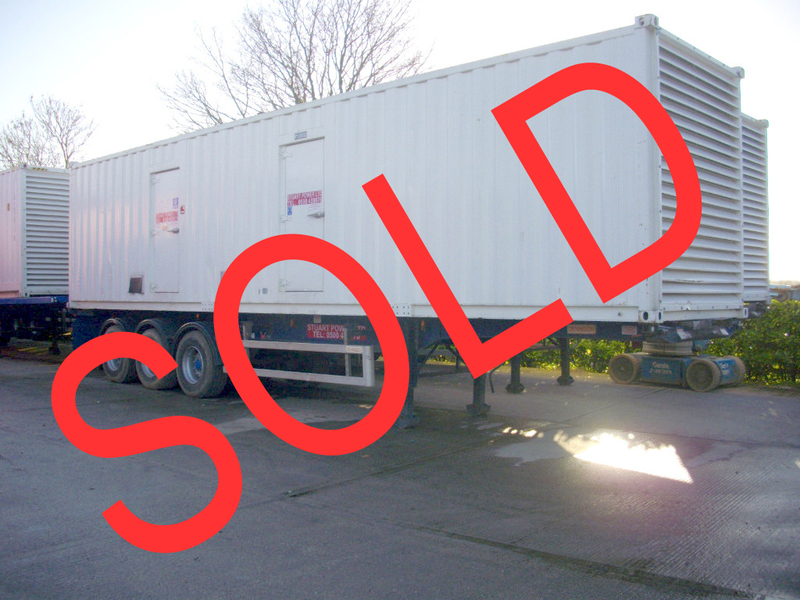 SOLD P16543 - Petbow 160 kVA Generator. Petbow 160kVA /132kW generators with 415/240V, 230amp, 50Hz Stamford alternator, fitted with a Cummins 6CTA8-3-G model engine. Operated with a Deep Sea 4410 digital AMF control panel. This generator comes with two lead-acid batteries and a charger, internally fitted SSA exhaust and bellows. The fuel tank supplied is an estimated 800 litres. This 165kVA / 132kW diesel generator has a 230/415 volt, 50hz, 229 amp Leroy Somer alternator. The set is fitted with a Perkins 1006T diesel engine, 1 x 12 volt lead-acid battery, bellows and a silent exhaust. 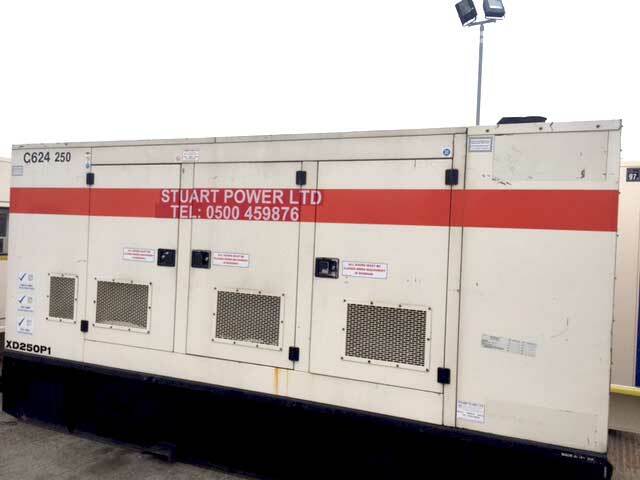 SDMO 1650kVA/ 1320kW generator set operating with MTU 4016 diesel engine and a 50hz 2293 amp Stamford Alternator. 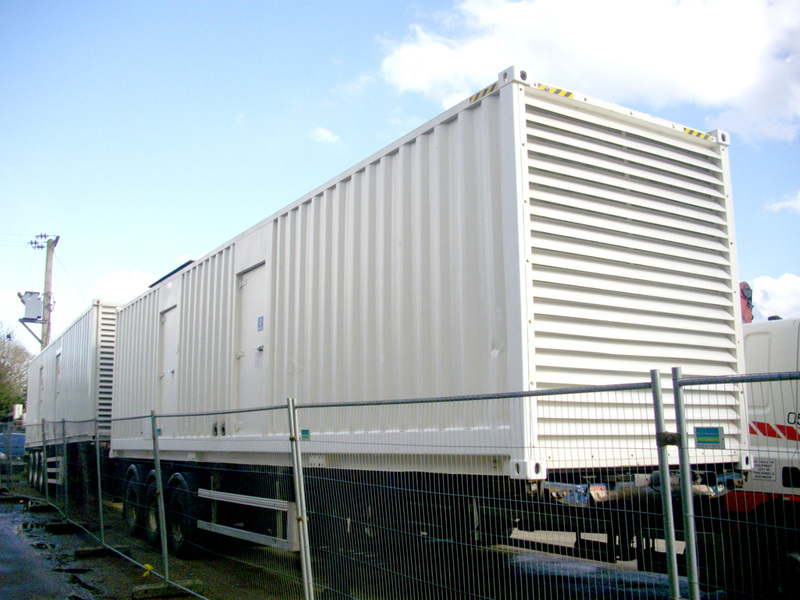 Has an integral 4,000 litre fuel tank and the generator set is mounted inside a 12 metre sound attenuated ISO container. 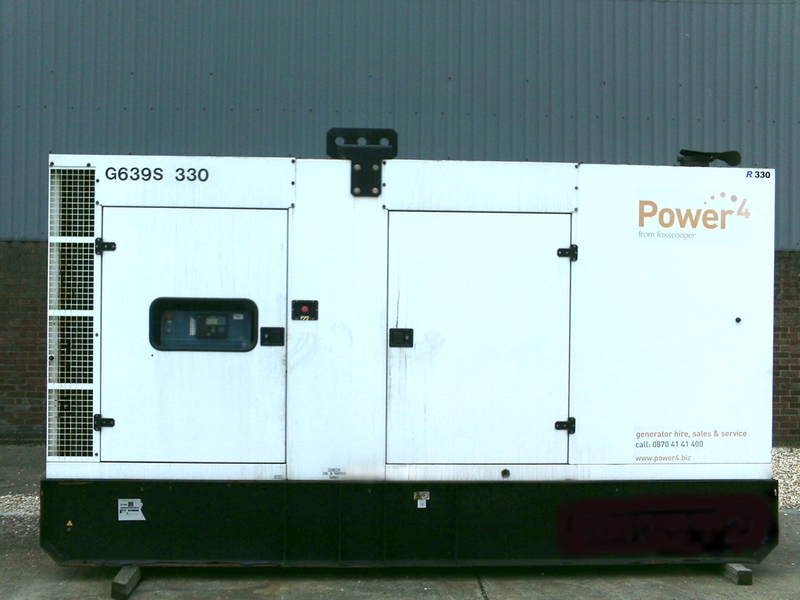 This FG Wilson 2200kVA / 1760 kW diesel generator has a 400-230 volt, 50hz 3058 amp Stamford alternator. The set is fitted with a Perkins 4016TAG engine that has had only 2,100 hours of use, 4 x 12 volt lead-acid batteries, water jacket heater and exhaust bellows. 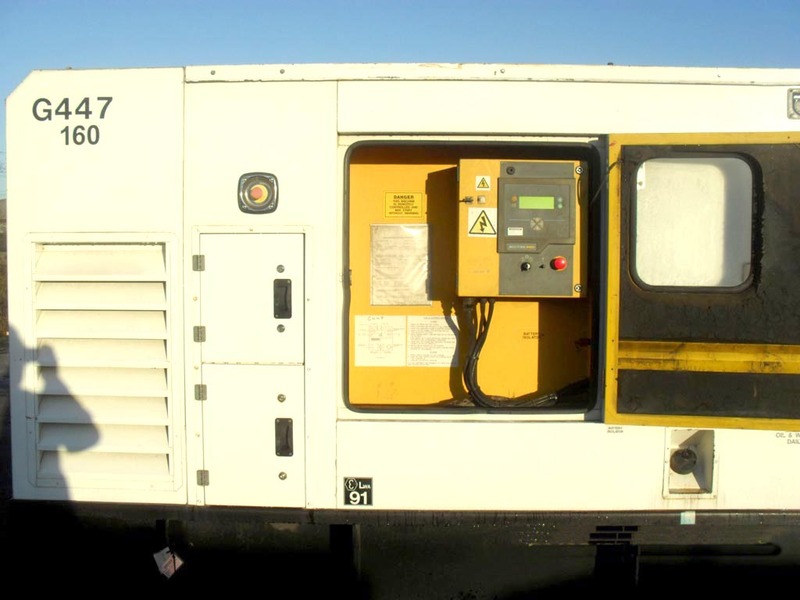 This FG Wilson 550kVA / 440 kW diesel generator has a 415-240 volt, 50hz 764 amp F G Wilson Model LL6114F alternator. The set is fitted with a Perkins 2806c engine that has had 22,000 hours (to be confirmed) of use, 2 x 12 volt lead-acid battery, bellows and an internal exhaust. FG Wilson 150kVA / 120kW generator with a 1006T diesel engine. Leroy Somer 230/415V, 208 amp, 50 Hz alternator. Complete with sound proof canopy, silent exhaust system, 12 volt lead-acid battery and a FG Wilson control panel. SDMO 88kVA / 70kW generator with 415/230V, 122amp, 50Hz Partner alternator, fitted with a John Deere 404 STF engine. Operated with an SDMO AMF control panel. This generator comes with a single 12V lead-acid battery and an internally fitted exhaust. These generators are ultra quiet registering a sound level of 65dBA @ 1 metre. 1400kVA as one unit, 100% back up at 700kVA for critical set ups in Film Production, race events, corporate entertainment. 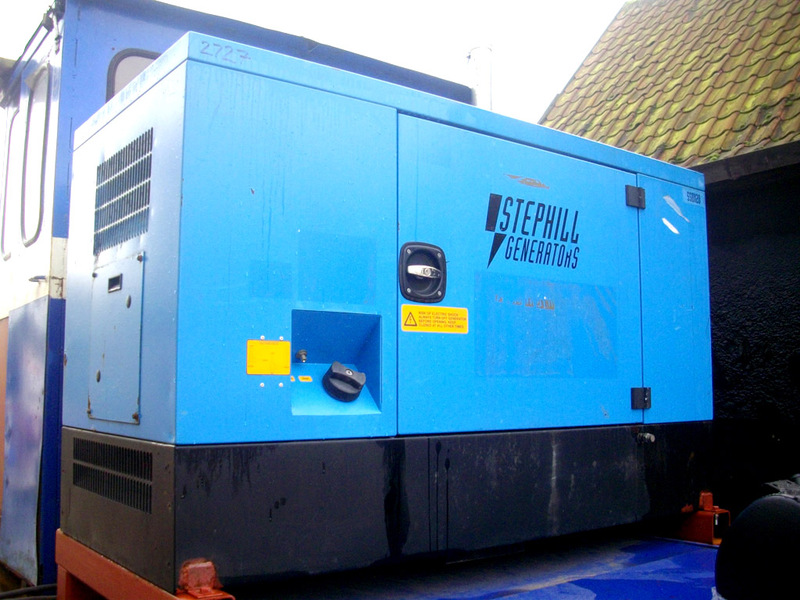 This 1750kVA / 1400 kW diesel generator has a 415 volt, 50hz 2433 amp Stamford alternator. The set is fitted with a Mitsubishi V16 engine that has had only 1,800 hours of use, 4 x 12 volt lead-acid battery, water jacket heater, bellows, battery isolator, Racor filter and a three way fuel valve. This Caterpillar 1000kVA / 800 kW Gas generator has a 400 volt, 50hz 1400 amp SR4 alternator. The set is fitted with a Caterpillar G3516 engine, 4 x 12 volt lead-acid battery, water jacket heater, bellows and a loose exhaust. Countryman 1500kVA / 1200kW generator with Marathon, 230/415V, 2279 amp, 50Hz alternator and Isotta BV 1712 T3 TE 1500 diesel engine. Fitted four 12 volt lead-acid batteries, 4kW water jacket heater, Deep Sea 5110 LCD AMF control panel and a 180 litre fuel tank which will last 1.5 hours at 75% load. Cummins 1250kVA / 1000kW generator with Stamford, 415V, 2375 amp, 50 - 60Hz alternator and a Cummins KTA50G3 diesel engine which has an internal exhaust, a battery Isolator, Water jacket heater and a 3 way fuel valve. These Kohler 100kVA / 80 kW Gas generators have a 400 volt, 60Hz 140 amp Kohler alternator. This AMAN 2,000kVA / 1600 kW generator has a 230-400 volt, 50hz, 2780 amp Leroy Somer alternator. 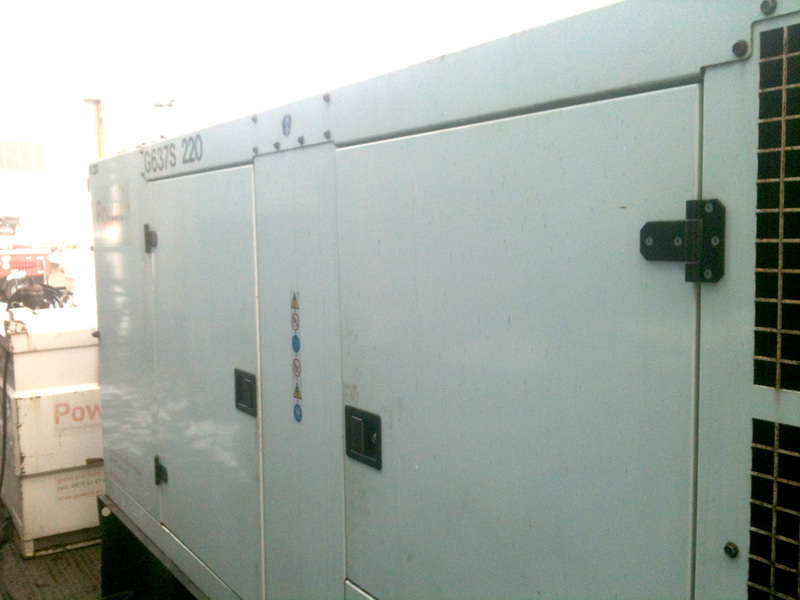 SOLD 2000-6-7-8 - Mitsubishi 2000 kVA Diesel Generators. These Mitsubishi 2000kVA / 1600 kW diesel generators have a 415 volt, 50hz 2780 amp Stamford alternator with Earth Fault, ACB and PMG. 2000-6-7-8 - Mitsubishi 2000 kVA Diesel Generators. 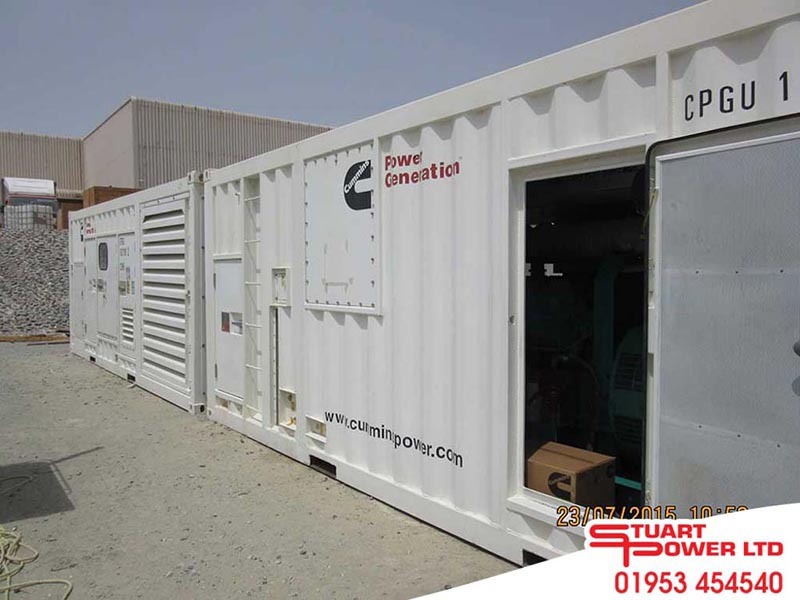 SOLD P3655 - 365kVA Caterpiller Generator With Enclosure. 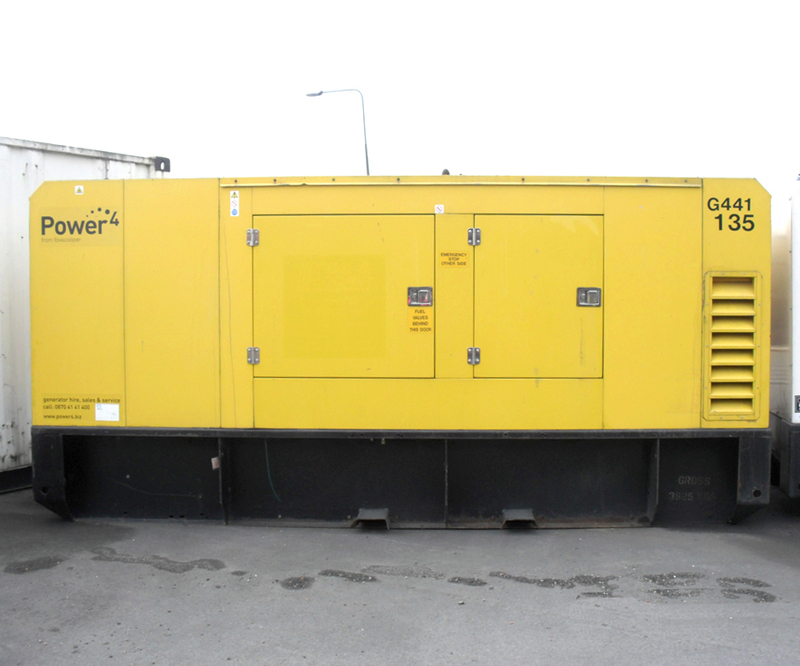 Supplied with Leroy Somer MCB 3 Pole AREP alternator, 415/240V, 508amp, 292kW. SDMO 300kVA / 240kW generator with Leroy Somer 230/415V, 433amp, 50Hz alternator and a Volvo TAD9419E diesel engine. SOLD Cummins N14 Diesel Engine With Enclosure. Cummins N14 water cooled diesel engines for sale, ideal in providing general power generation or powering large water pumps and similar projects. This SDMO 1900kVA / 1520 kW diesel generator has a 415 volt, 50hz 2640 amp Leroy Somer alternator. 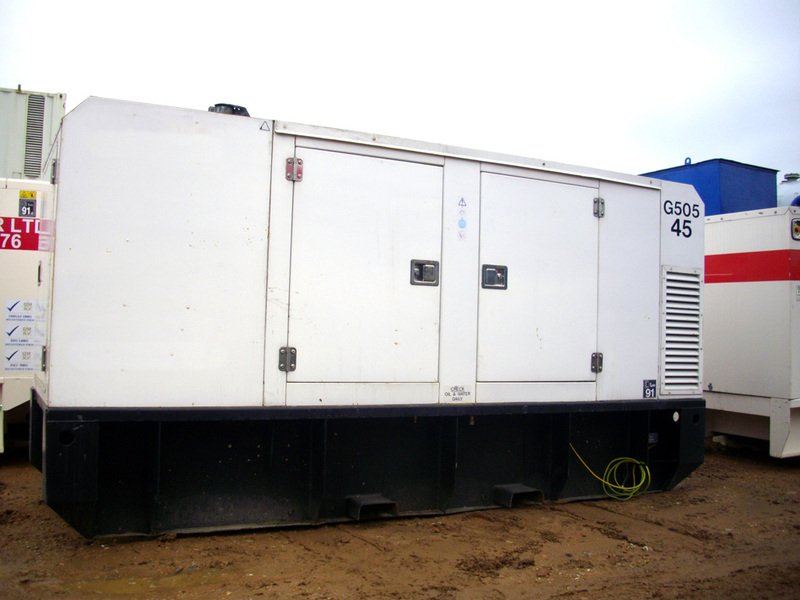 SOLD P4006 - 400kVA FG Wilson Generator With Close Fit Enclosure. 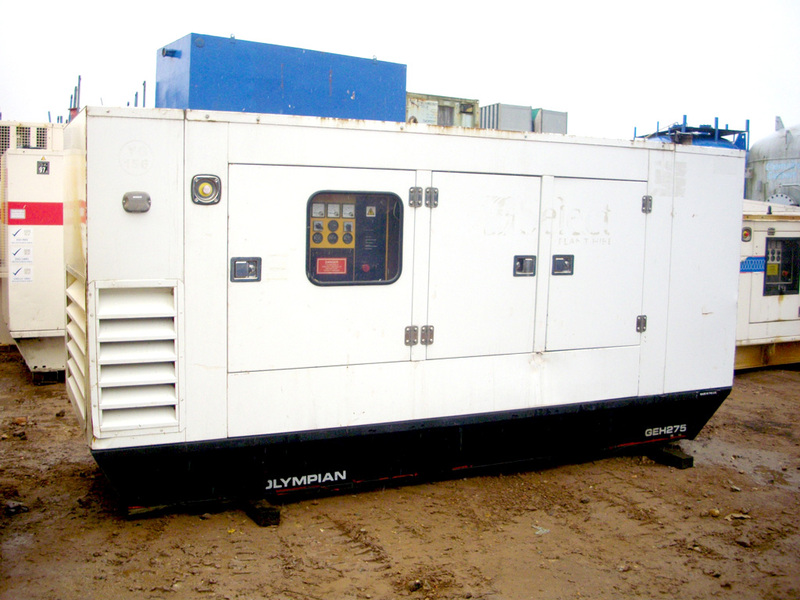 Supplied with an FG Wilson MCB, AREP alternator, 415/240 volt, 556amp, 320kW, 400kVA. 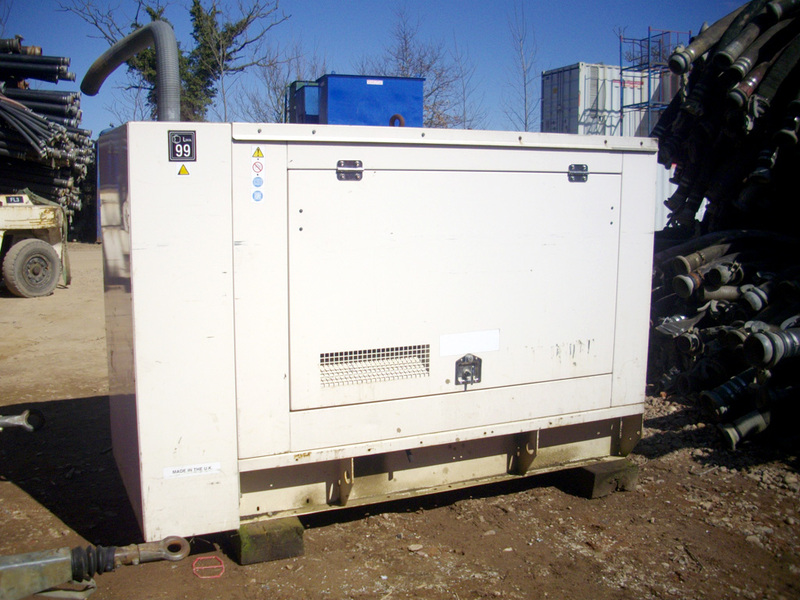 P4006 - 400kVA FG Wilson Generator With Close Fit Enclosure. Himoinsa Generators Manufactured in June 2012, 500kVA, 402.7KW, 400-230 Volts 50Hz/60Hz with a Deep Sea 8610 (gen to gen) control panel. 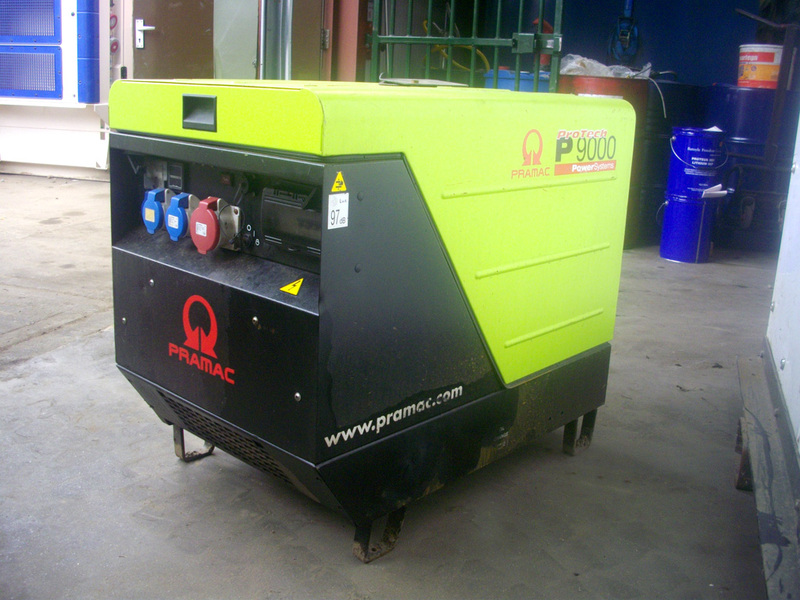 Pramac 9.5kVA (P9000) enclosed diesel generator with Lombargini 25LD/330. FG Wilson 9kVA diesel generator mounted inside a sound attenuated canopy. Gen-set MGK15000 15kVA enclosed generator mounted on a road to trailer. With Mecc Alte Alternator and Kubota engine. Sound attenuated 20kVA diesel generator with single and 3 phase outlets. Mecce Alternator / Isuzu engine. SDMO 44kVA / 35.2kW generator, 400/230V, 63.8amp, 50Hz alternator with a John Deere (3 cylinder) diesel engine. 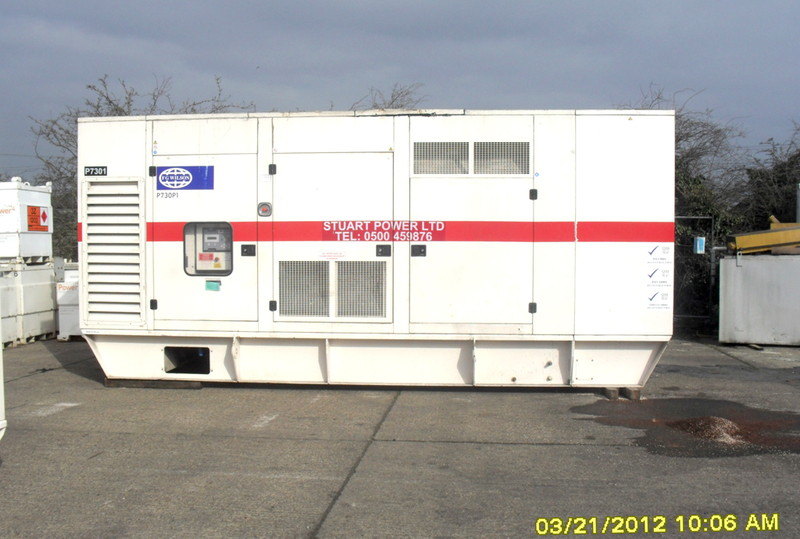 FG Wilson 40kVA (P40) diesel generator mounted inside a sound attenuated canopy. Powered by a Perkins 4236NA engine. This unit has been used for 55 hours. This and other single and three phase diesel generators in stock. Powered by a Perkins 4236NA engine. This unit has been used for 19 hours. SDMO 44kVA / 35 kW generator, 400/230V, 64amp, 50Hz Mecce Alte alternator and Mitsubishi (4 cylinder) S4S-DT engine. Sound attenuated diesel generator with Newage alternator with Perkins P1004 engine. 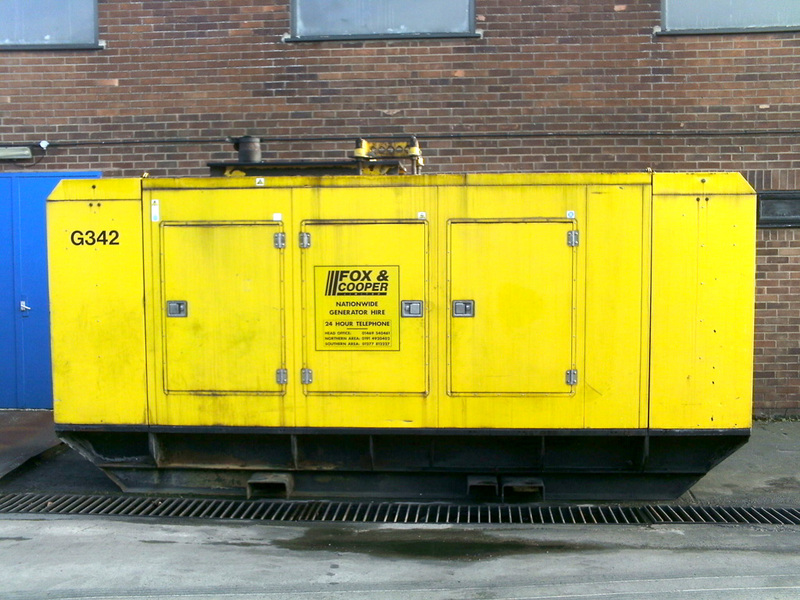 FGW 45kVA generator. Newage alternator with Perkins 1004 Phaser engine, with MCB and earth leakage. Olympian GEP100 generator with Perkins 1006 engine, Leroy Somer alternator and Power Wizard 1.0 panel. Water jacket heater and battery charger. SOLD P100 - FG Wilson 100kVA Diesel Generators With Enclosure. FG Wilson 100kVA /80kW generators with 415/240V, 113amp, 50Hz alternators, fitted with the renowned quality Perkins 1006 model engine. 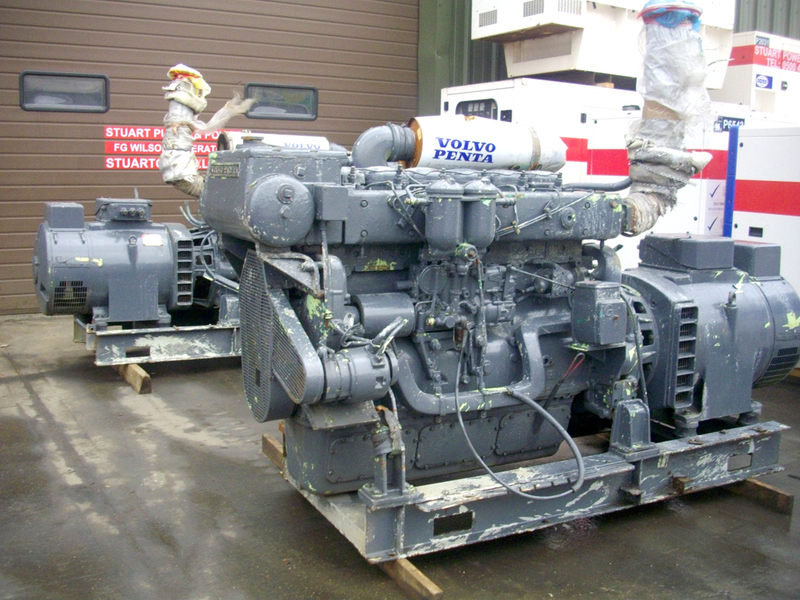 Volvo Penta marine generators. Fresh water supply required. Bowman heat exchanger, raw water pump. SDMO 700kVA / 560kW generator with Leroy Somer 49.1/M6C6S/4 415 volt, 1010 amp, 50 Hz alternator and an MTU 12V 2000 diesel engine. 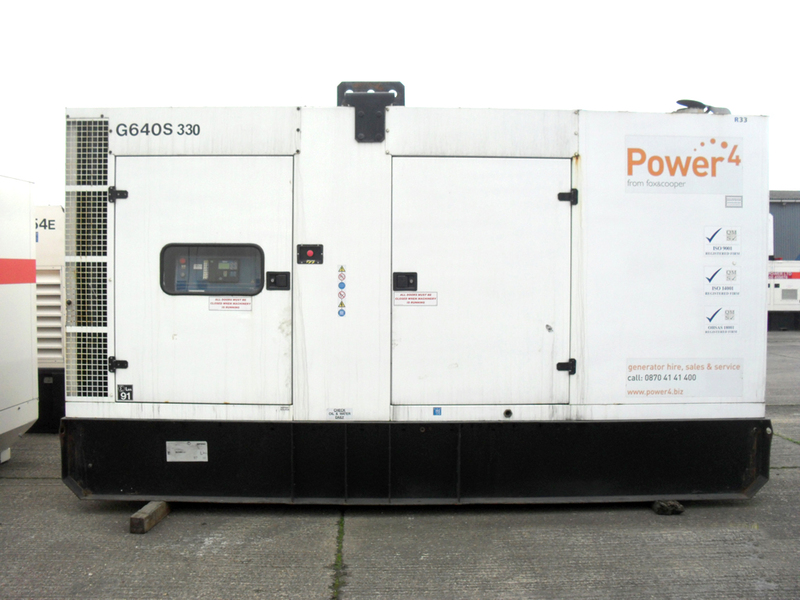 FG Wilson 135kVA diesel generator with Newage MX321 alternator and Perkins 1006TAG engine. Cummins KTA50-G3 1250kVA / 1000kW prime rating diesel generator with a Newage 415 volt, 50Hz alternator. 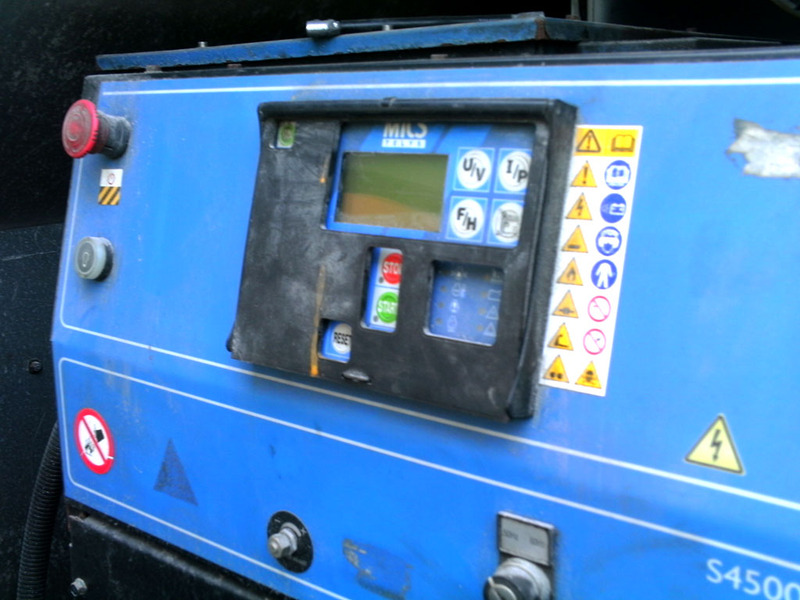 FG Wilson 160kVA diesel generator with Newage alternator and Perkins diesel engine. 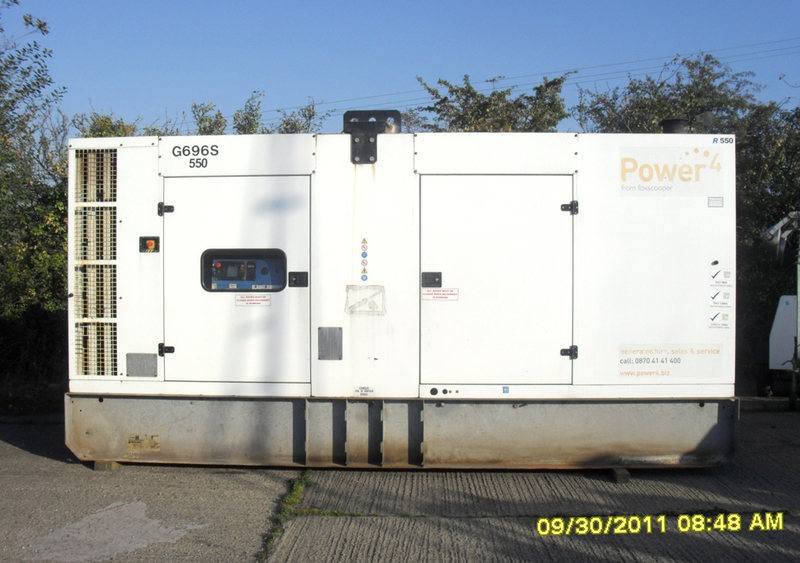 FG Wilson 160kVA generator with Newage MX321 alternator and Perkins 1306-9TG2 engine. FG Wilson 200kVA with a Newage alternator and a Perkins 1300 Series diesel engine. FG Wilson 200kVA generator with Leroy Somer LL5014F alternator and Perkins 1300 Series engine. Nearly new FG Wilson P220E diesel generator supplied in a good condition white sound attenuated enclosure. 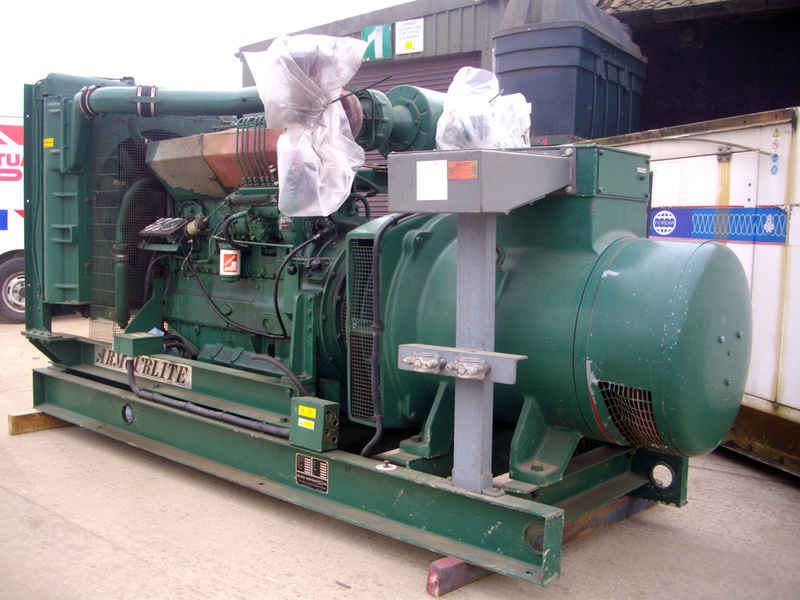 FG Wilson 250kVA generator with Newage alternator and Perkins engine. FG Wilson 250kVA generator with Newage alternator and Perkins engine. Auto-sync facility and atom-valve. Atlas Copco 300kVA generator with Mecce Alte alternator and Volvo engine. Switchable from 50 - 60Hz. SDMO 300kVA generator with Leroy Somer alternator and Volvo engine. 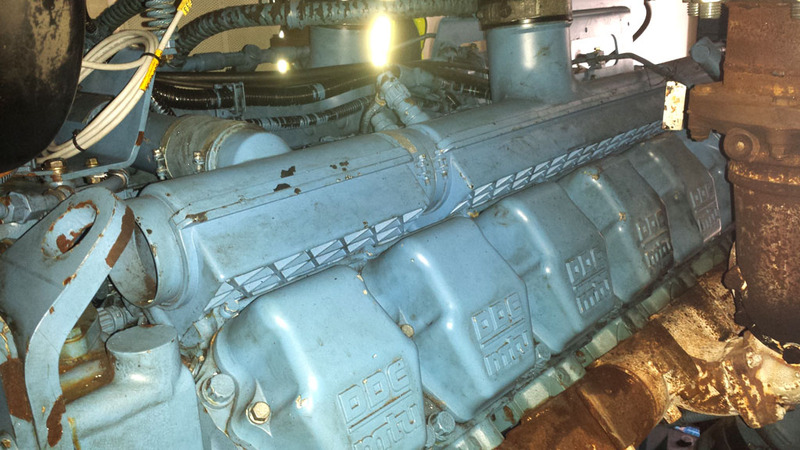 CAT 365kVA generator with Caterpillar SR4 alternator and CAT 3406 engine. JCB 500kVA alternator coupled to a Scalia V8 diesel engine. SDMO 550kVA generator with Leroy Somer alternator and Volvo engine. 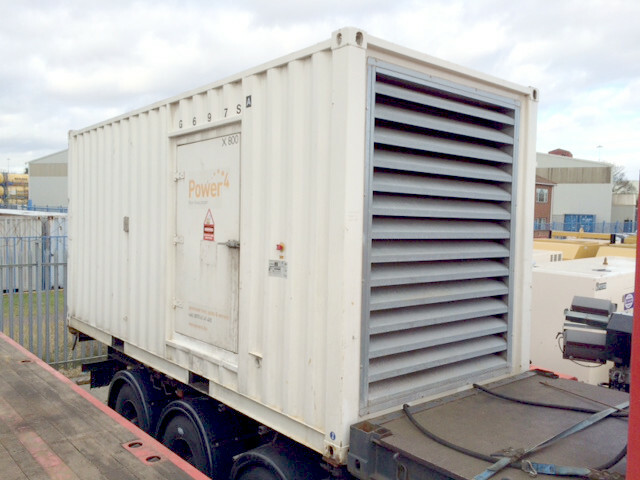 FG Wilson : DDC 800kVA Prime in container. Former UK Government standby. SDMO X910 UC Version IV 910kVA / 728 kW generator with Leroy Somer LS491 L91A, 415V, 1266 amp, 60Hz alternator. 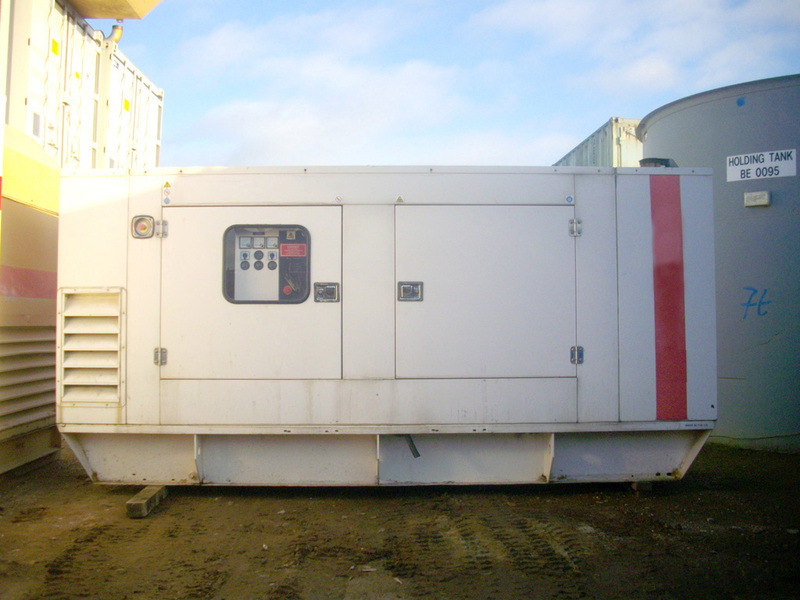 1100kVA Cummins generator (open). Weather proof enclosure available to suit. 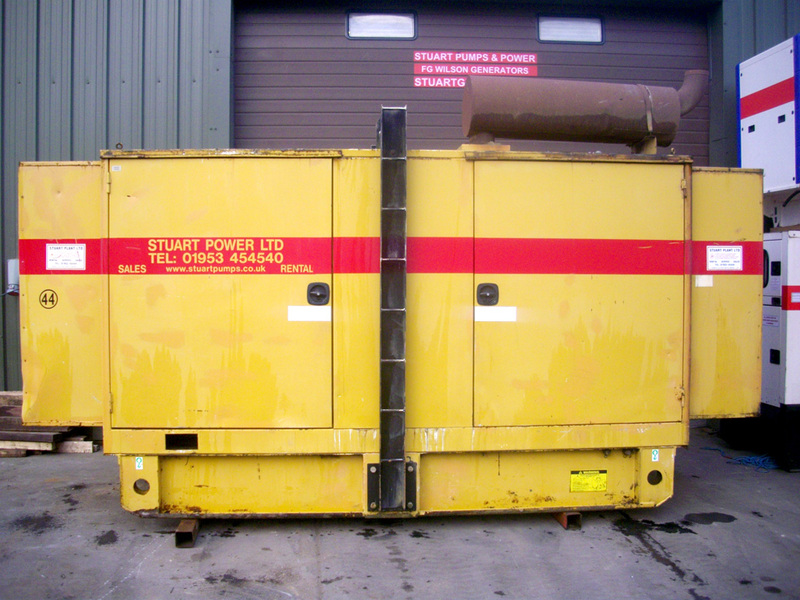 FG Wilson 1375kVA generator with Perkins engine and Leroy Somer alternator in a 12mtr ISO container. Cummins QSK60 diesel gen-set coupled to a Stamford alternator with ACB, Deep-sea Paralleling Panel. SDMO 550kVA / 440kW generator with Leroy Somer 230/415V, 764A alternator and a Volvo TAD1641GE diesel engine. Interpower 1100kVA / 880kW, 1529A, 415V, 50Hz diesel generator. With a Mecc Alte ECO 43-1LN/4 alternator, an MTU 18V-2000 diesel engine. FGW 730kVA generator with Leroy Somer alternator and Perkins engine. 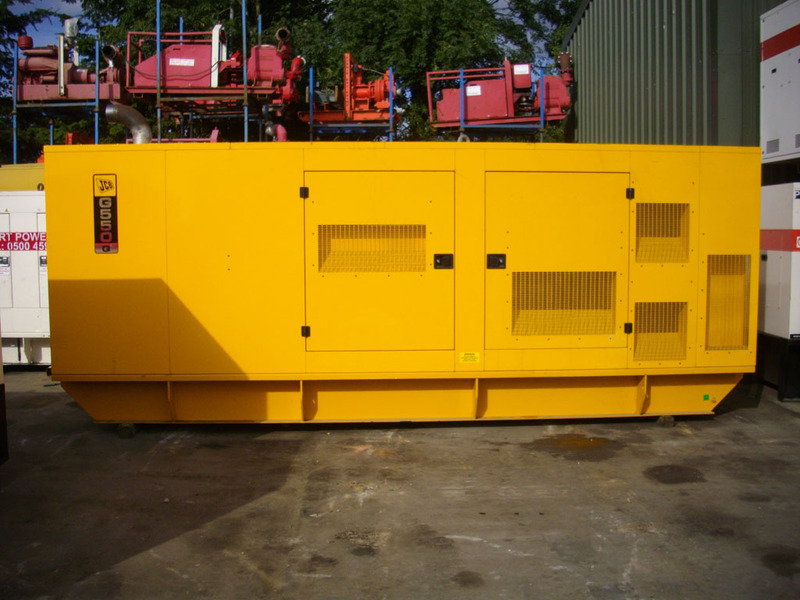 FG Wilson 800kVA generator with Perkins engine fitted inside a nearly new sound attenuated enclosure. 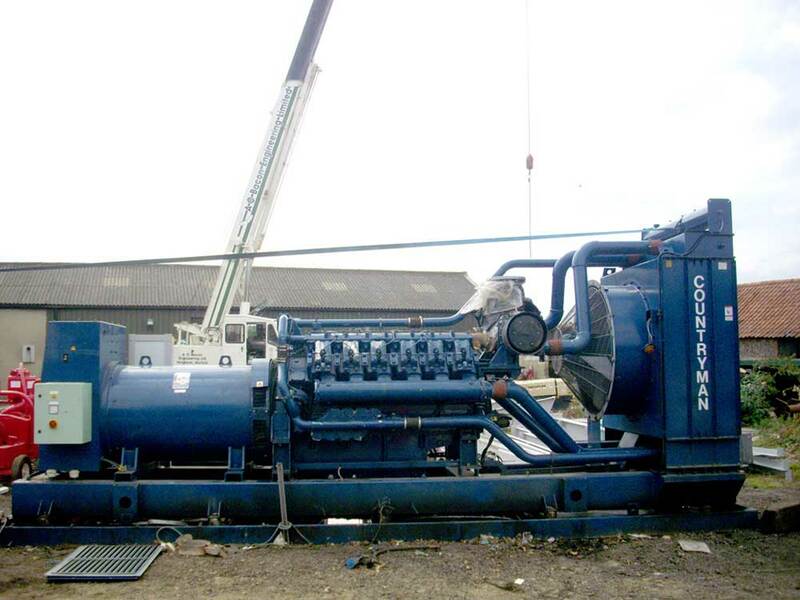 550kVA/ 440kW generator operating with a Perkins Cat 2506c diesel engine. 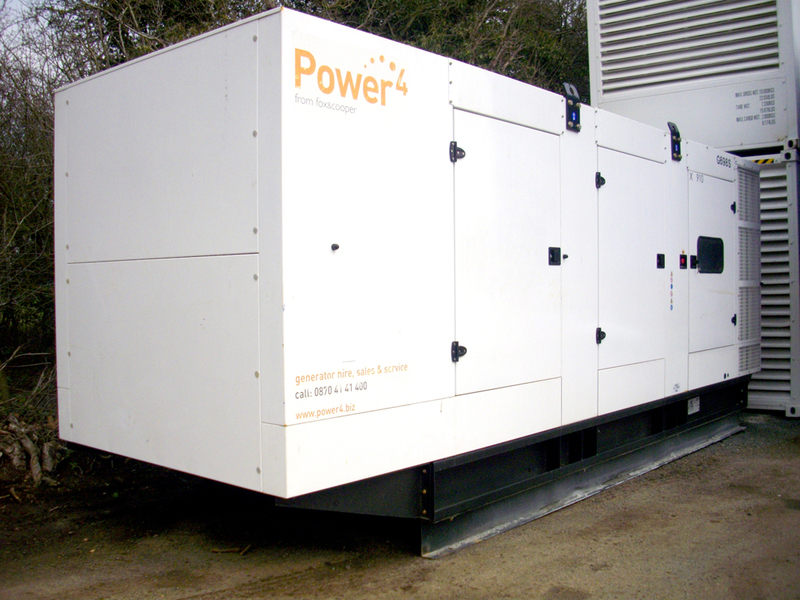 Bruno 20kVA / 20kW generator in weatherproof, sound attenuated enclosure. FG Wilson 165kVA / 132 kW diesel generator with Leroy Somer alternator. 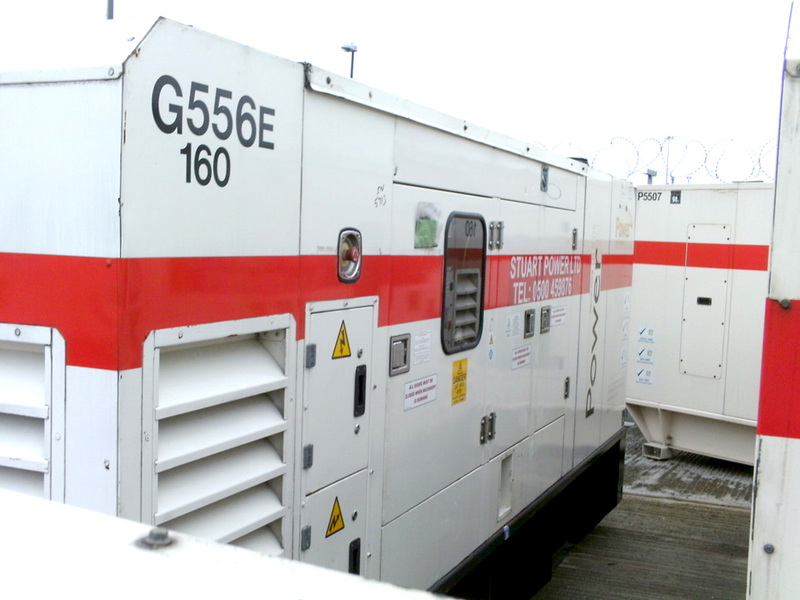 FG Wilson 250 kVA Diesel Generator In Close Fit Enclosure. Do you have a generator or pump you're looking to sell? we also purchase. If so get in touch today. A Note from our MD. The above descriptions are provided in good faith, we do our best to offer factual information on all used equipment. "we as a result of selling two used generators, we had provided incorrect operational hours, which had been relayed onto a customer by mistake". We do our best to offer factual information however we take no responsibility for any or all information provided written or oral. Having stated the forgoing we undertake to provide a quality service with every sale. We limit our liability to repair - replacement and transport costs. (for the record we paid tens of thousands to a company as we standby our values, by negotiation. Not legal). All prices shown above are excluding carriage and VAT. Carriage can be arranged as an additional extra. 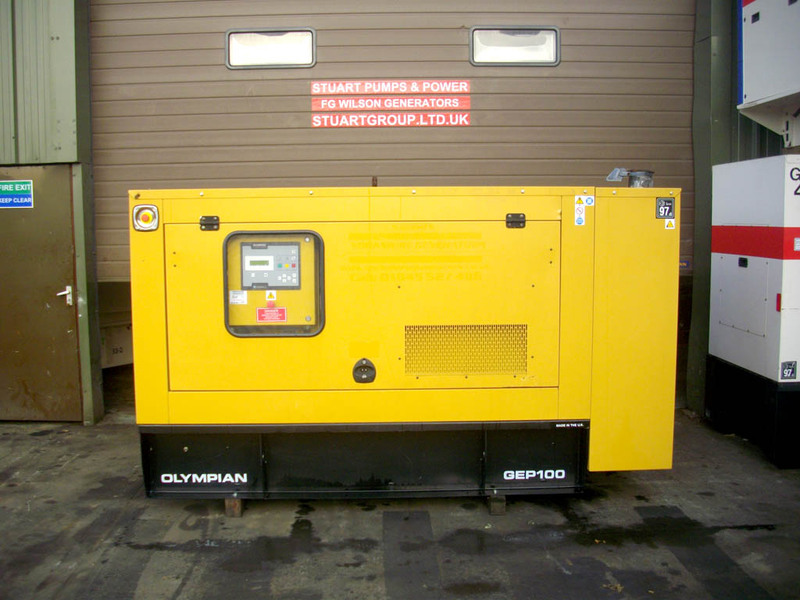 We dont only stock used generators we also supply rental generator sets and brand new gas and diesel generators. CHP unit. Including a Cummins 1547kW / 1934kVA, 415V, natural gas generator, heat exchangers, power and valves. 500 litre lube oil top up tank and heat exchangers included. System mounted in two containers (6m and 12m). Engine in good condition and well maintained. Suitable for anaerobic digester plant, These are valued at £560,000.00 new, it was used for the purposes of green house heating. Viewing of the unit is welcome, we can provide this unit to you with minimal delay should you have a similar machine go through a costly breakdown. 12 month warranty on this system for PLC companies and also Government organizations subject to the reapplication. Manufactured in 2002 and total running hours are 10,100.